Packaging Manufacturer and suppliers in Gujarat, Maharashtra, Andhra Pradesh, India. Address : Plot No.17, New Ahmedabad Industrial Estate, NR.Zydvs Cadila, Sarkhej –Bavla Highway Moraiya, Ta. Phone : .. Fax : ..
Email : alkaenterprise@gmail.com Web : .. Phone : 079-65226633 Fax : ..
Email : blowplastpolymers@hotmail.com Web : .. Phone : 268-2566990 Fax : .. Address : 201, Sneh Residency, Vishvakarma Society, Ravapar Road, Morbi-363 641, Dist. Rajkot. Phone : 02822-286057 Fax : ..
Email : coronaindustries@ovi.com Web : .. Address : 16, Samruddhi Bhavan, 4th Floor, Opp. Bombay Petrol Pump,Gondal Road, Rajkot-360001. 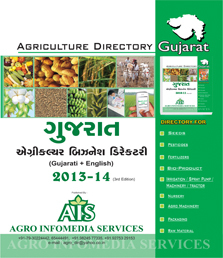 Agro info media is prominent company of agriculture directory in India. You can find here all details and list of Packaging companies they are suppliers of Packaging, manufacturer of Packaging, dealers of Packaging in Gujarat, maharashtra, AndhraPradesh, India. Agro info media is free listing directory portal for Packaging suppliers, Packaging manufacturer, Packaging companies in Gujarat, Maharashtra, India. You can also take your listing for paid advertisement in our next Directory edition for Gujarat, Maharashtra, Andhra Pradesh, India. Copyright 2008 - 2012 . All rights reserved By Agro InfoMedia .